When he realized what was happening, he couldn't stop thanking them. When a dog ends up homeless and living on the streets, he often becomes terrified of people, and rescuing him can be a little tricky. Brutus, however, was more than ready to be rescued. 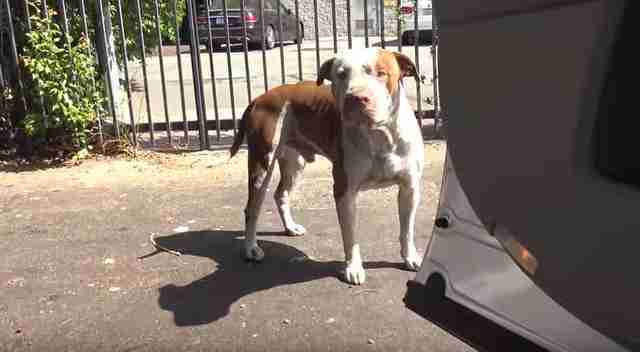 Brutus, a 1-and-a-half-year-old pit bull, had been living on the streets of downtown Los Angeles for a few months, and bonded with a group of mechanics working at an auto repair shop. They fed and cared for him the best they could, but knew what he really needed was to be off the streets and in a loving home. 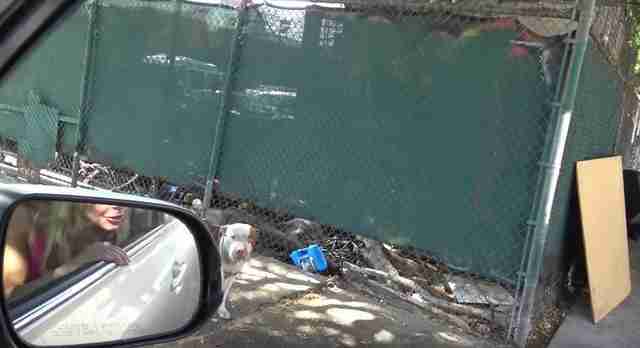 Hope for Paws, a rescue organization in Los Angeles, heard about Brutus and drove downtown to attempt to rescue him. The group helps homeless and abandoned dogs all over Los Angeles, and often ends up dealing with tricky rescue operations with dogs who are terrified of people. Brutus's rescue was definitely very, very different. Eldad Hagar and Lisa Arturo, both rescuers with Hope for Paws, pulled into an alleyway where Brutus was hanging out, and as soon as they called to him from their windows, he was immediately curious. He walked right up to the car and peered in. Brutus got a little nervous when Hagar and Arturo got out of the car, and he backed away to a safe distance to observe them. But when he realized they had food, it didn't take him long to approach them again and welcome them as new friends. ... and instead of trying to run away, Brutus gratefully bowed his head and helped her secure the leash. "The rescue took less than 10 minutes," Hagar told The Dodo. "It took us longer to actually find the location where he was." ... even though one of them was a little busy driving. 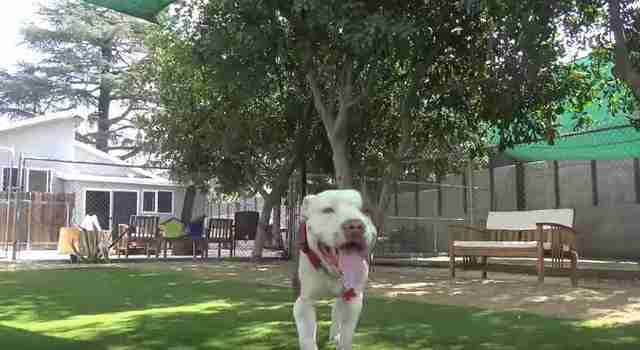 "He is such a goofy guy and he mostly cares about the humans around him and is really eager to please," Hagar said. Brutus is moving in with his foster family in a few days, and is such a sweet, loving dog that hopefully it will only be a matter of time before he finds his forever home. "This was definitely the easiest Hope for Paws rescue mission ever," Hagar wrote in a video about the rescue.